Android mobile phones and tablets can be loaded with games, apps, music, pictures and offer a wide range of features and utilities. Each of those features can slow down your phone, causing it to run less efficiently. If you have a feeling that your Android phone is slower than it used to be, don’t worry, there are several apps that can help you to speed your device up. Android Assistant is a free app that allows you to manage your Android phone and increase its performance. The app will let you monitor the status of your processor, battery and memory, to see how your device is performing. Android Assistant can also provide you with an extended range of tools to tweak your phone’s setting, cleaning the system and managing processes. Smart Launcher is an innovative launcher characterized by a minimalist design, low memory usage and an user-friendly UI that let you start any application with a few taps. The app can reduce the sluggish starts and delays caused by loading applications. 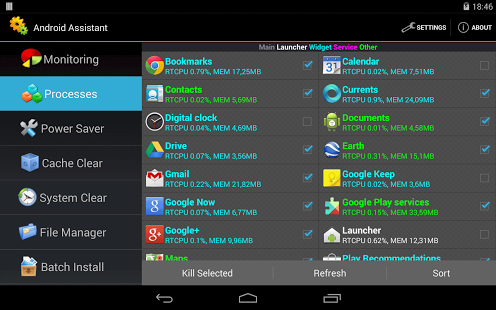 Smart Launcher Pro can also save home screens in its memory to reduce loading times even more. Memory Booster is a powerful mobile memory & RAM boosting tool specially designed for both Android smartphone and tablet users. It is designed to tackle the difficult yet crucial problem of memory management for all Android devices. 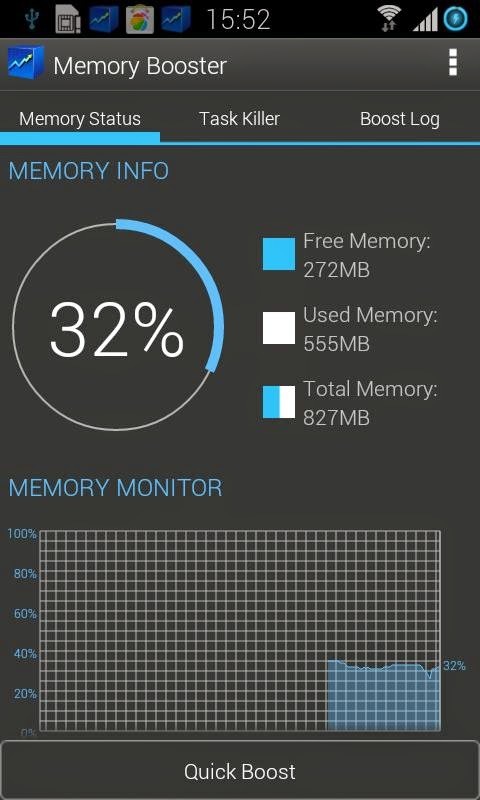 Memory Booster reclaims lost memory for your programs by defragmenting your device’s memory and recovering memory leaks from applications. 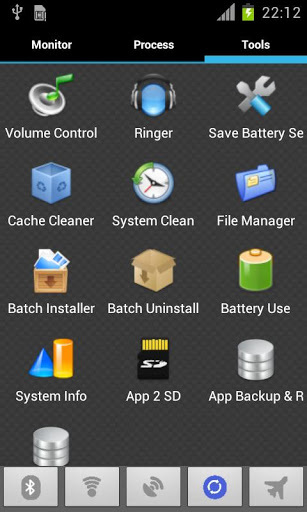 Downloaded over 2.000.000 times, 1TapCleaner provides great options for cleaning your Android’s files. By deleting obsolete files from your Android Device’s memory, the app helps you to increase performance and reduce sluggish operations. There are four cleaners included in this app. Cache Cleaner, History Cleaner and Call/Text log Cleaner help you to get more free space for the internal phone storage by clearing apps cached files, data files, or search/navigation history records. If you have selected to launch apps by default for some actions. Default Cleaner helps you to clear the default settings. Juice Defender is a powerful yet easy to use power manager app specifically designed to extend the battery life of your Android device. Packed with smart functions, it automatically and transparently manages the most battery draining components, like 3G/4G connectivity and WiFi. On top of that, you’ll be able to manage CPU speed and more to fully maximize your device’s battery life and speed! With more than 7.000.000 downloads, this app is extremely popular in the Android community. 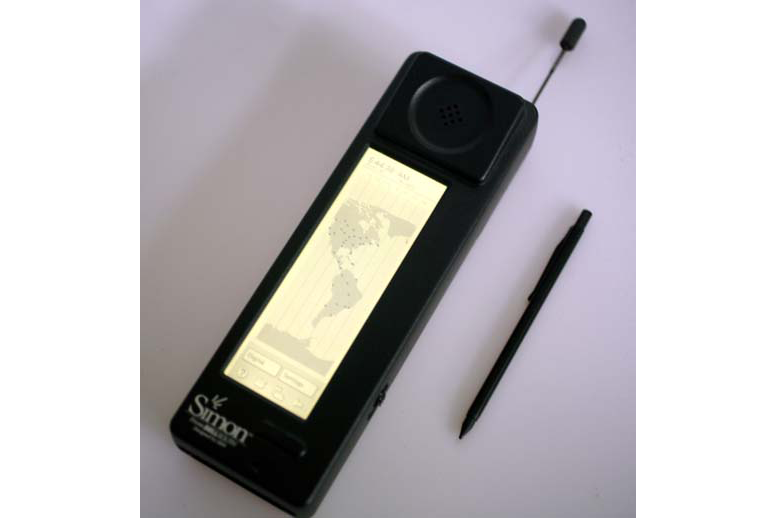 On the 16th of August 1994 the IBM Simon went on sale, it’s arguably the first ever Smartphone so happy birthday Simon. To mark the 20th anniversary, London’s Science Museum is going to put the Simon on display in its new Information Age gallery, which will mark the major landmarks of communication innovation from the past 200 years. It’s due to open later this year, on the 25th of October. It weighed a little more than phones today. At a bulky 500 grams and you couldn’t really call the Simon pocket sized. This innocuous looking device was only available in the US and sold 50,000 models but it wasn’t cheap. It cost $899 (around $1350 in today’s money), had 8 hours of standby, only one hour of usage battery life and was limited to a 15 state network. “And there was no mobile internet at the time. So it wasn’t very successful,” said Ms Connelly. You can click here learn more about the Information Age gallery at the London Science Museum.